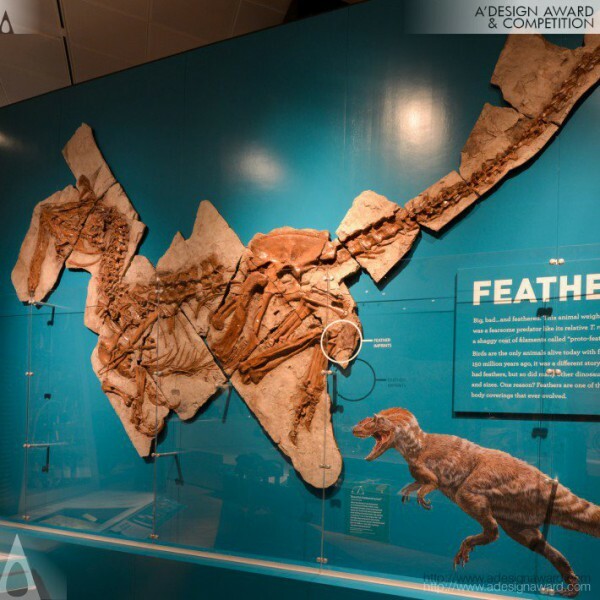 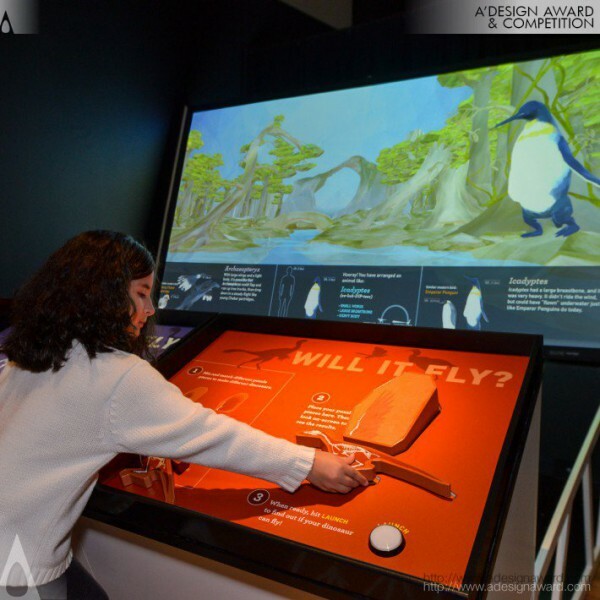 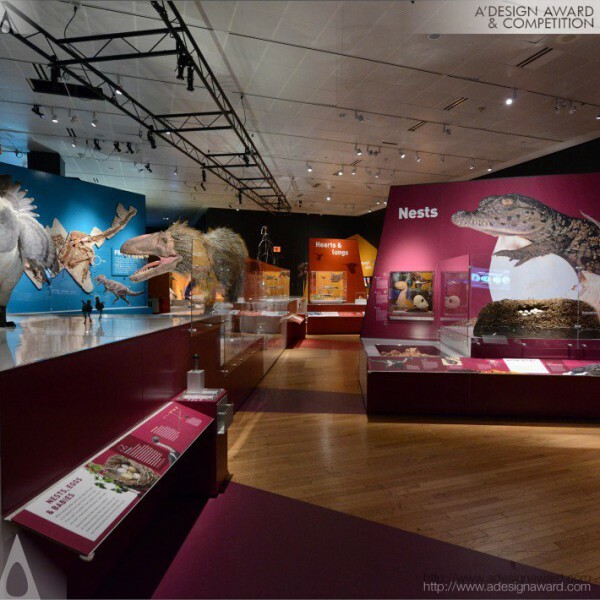 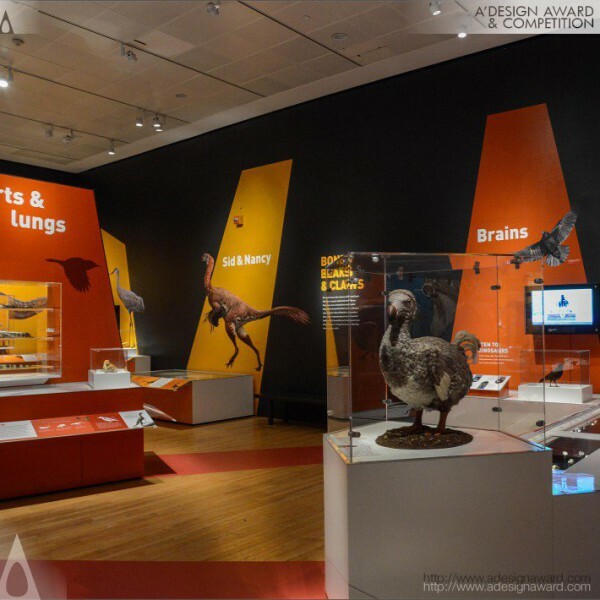 AMNH 3D Design Team, the maker of the highlighted design Award Winning Dinosaurs Among Us Temporary/Touring Exhibition explains, Dinosaurs Among Us reveals that dinosaurs are not so extinct after all. Recent research shows that dinosaurs’ evolutionary legacy lives on in birds. We seek to put a fresh twist on the ancient topic on dinosaurs with new research linking dinosaurs to birds. 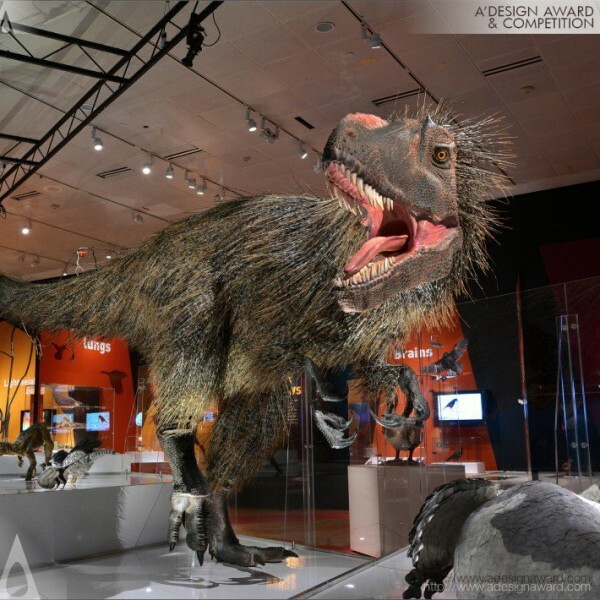 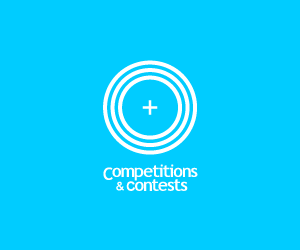 The exhibition’s bold colors, quirky quadrilateral shapes, and plentiful interactives contrast against the realistic Dinosauria models and authentic fossils to create a striking, thought-provoking environment..